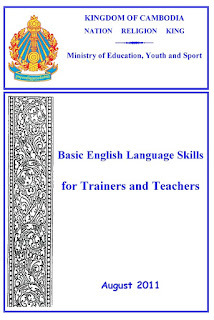 This manual has specifically designed for not only for an aid assist and enrich Upper Secondary School (USS) teachers in the teaching of their English subjects, but also for teachers of other subjects to effectively communicate and work with others as a number of a team, group and organization as well as to participate as responsible citizens in the life of local, international and global communities. This manual maims to meet the needs for professional and linguistic development among the growing number of USS teachers in Cambodia. Its main goal is to introduce the USS teachers to the basic English language, basic English in communication, basic English grammar, and to the basic English reading and writing.